Timber trusses are the hallmark of Michigan Timber & Truss’s product portfolio. From the start of your project to its completion, you will be thrilled with service, support, and numerous designs. 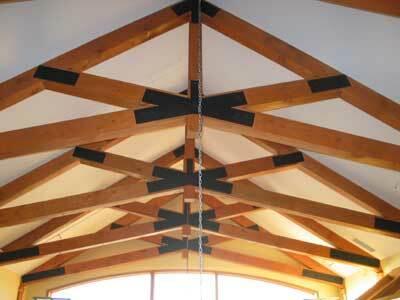 Whether your building is large or small, our timber trusses are custom made according to your specifications. Our decades of experience guarantee quality results, minimal callbacks, and trusses that will last a lifetime. If you bring us specifications, you can rest assured we will build precisely according to those specifications. We know all about the construction process, and have deep respect for deadlines, quality, and accurate results.